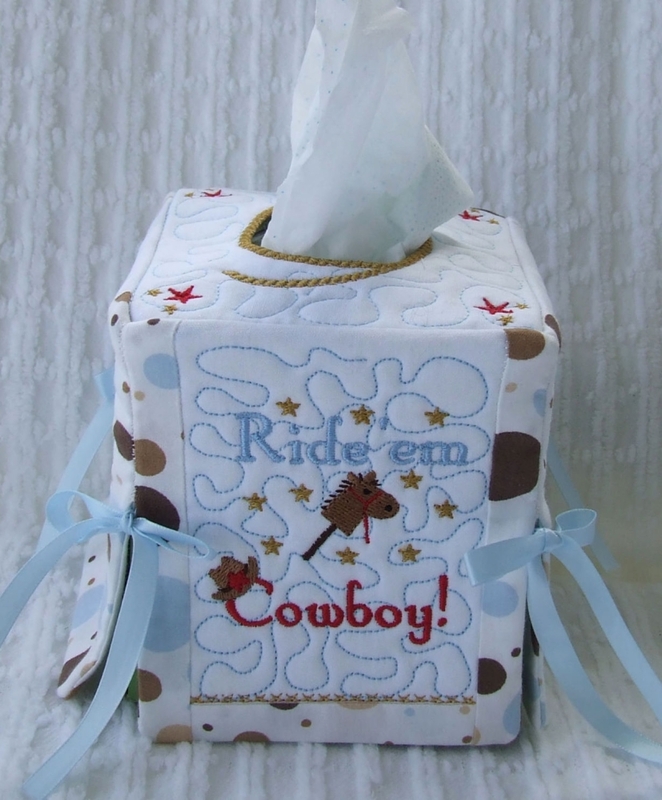 This tissue box cover will add a special touch to your little cowboy’s room. Each side and top is stipple quilted, lined, and pieced together in the hoop. Satin ribbons are tied at the sides. 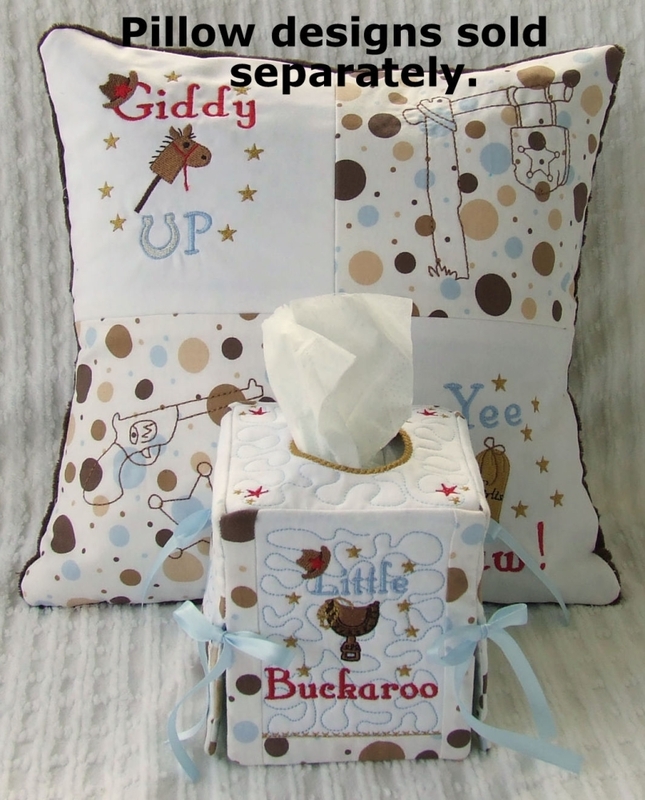 There are two sides with our cute cowboys, two sides with word art. A small amount of hand sewing is required. 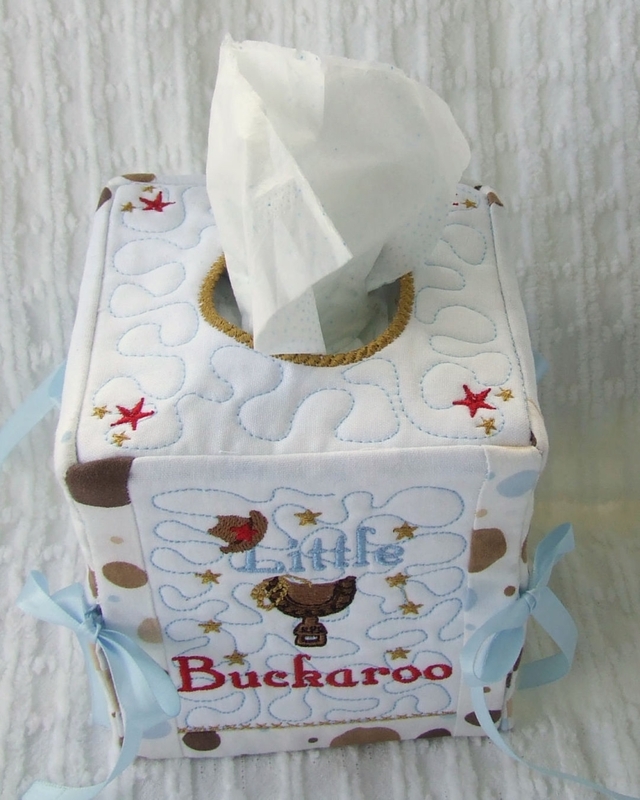 The tissue box size used for this cover is approximately 4.5”x4.5”x 5” tall. For 5x7 hoops. 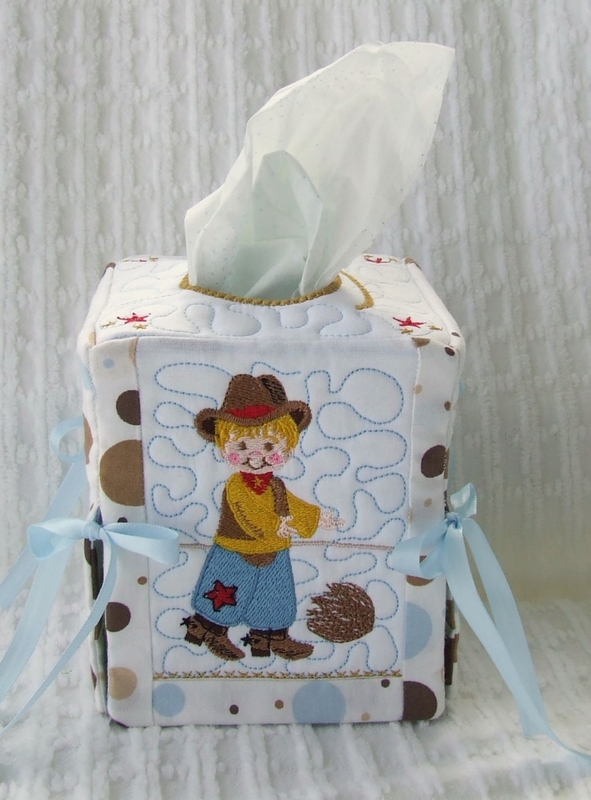 This tissue box coordinates with our Buddy doll and Lil’ Buckaroo quilt and pillow designs which are for sale separately. Wouldn’t these items make great birthday or Christmas gifts? used for this cover is approximately 4.5”x4.5”x 5” tall. Wouldn’t these items make great birthday or Christmas gifts? 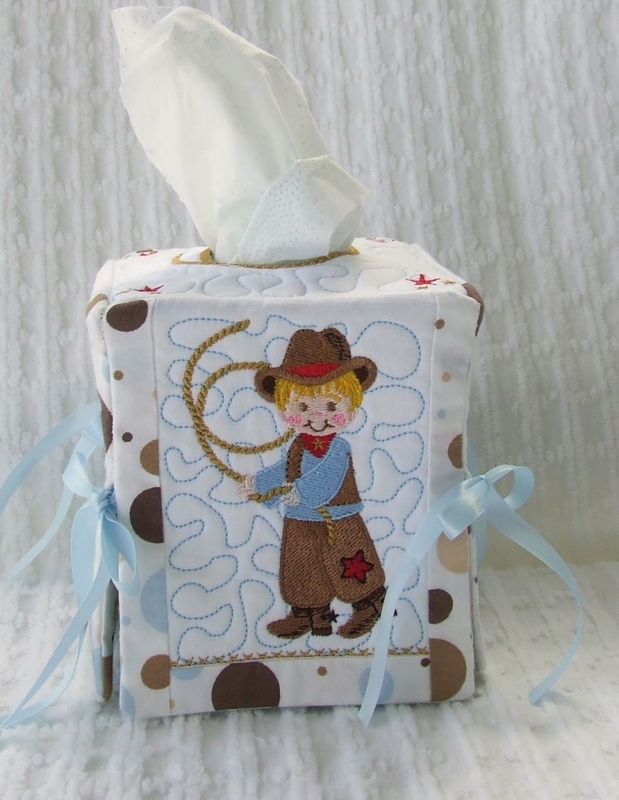 Mini Cowboy Set, 12 Designs!